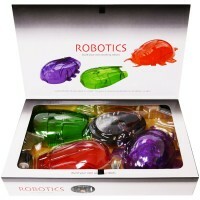 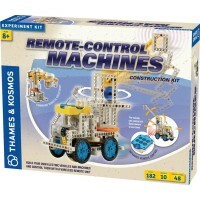 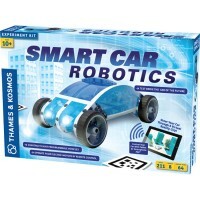 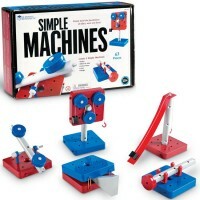 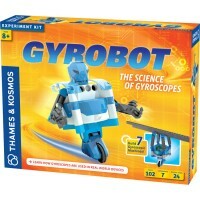 With this kids science kit you can assemble a robotic hand and experiment with its abilities. 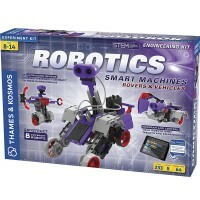 Robotics is a fascinating science field for young and grown-up scientists. 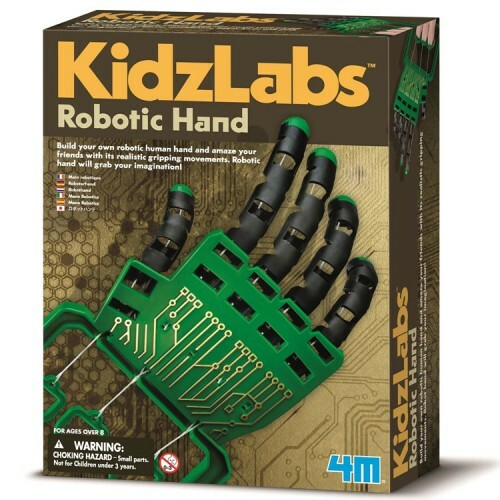 Now children can build their own version of robotic hand to learn and play with. Robotic Hand Building Kit, by 4M science toys maker, lets kids to assemble a robotic hand that features realistic gripping motions. 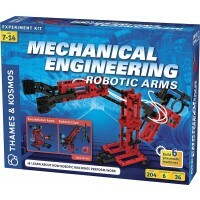 Follow the detailed instructions to build the robotic hand and understand the science principles behind its movements. 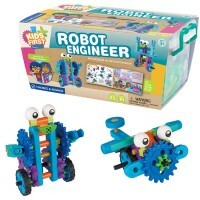 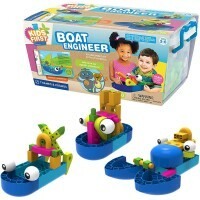 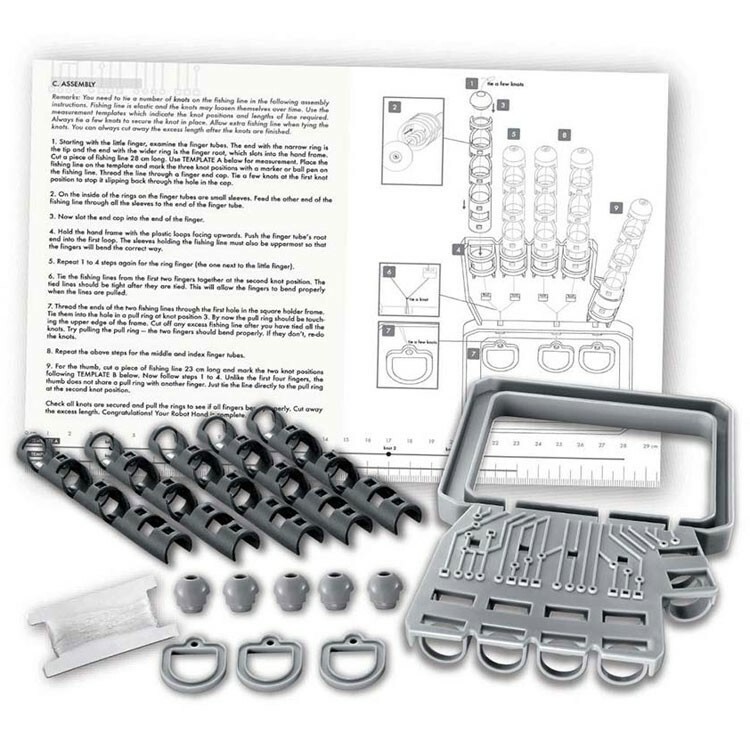 Robotic Hand Building Kit from Educational Toys Planet contains a hand frame, 5 finger tubes, 5 finger end caps, 3 pull rings, fishing lines and detailed instructions manual. 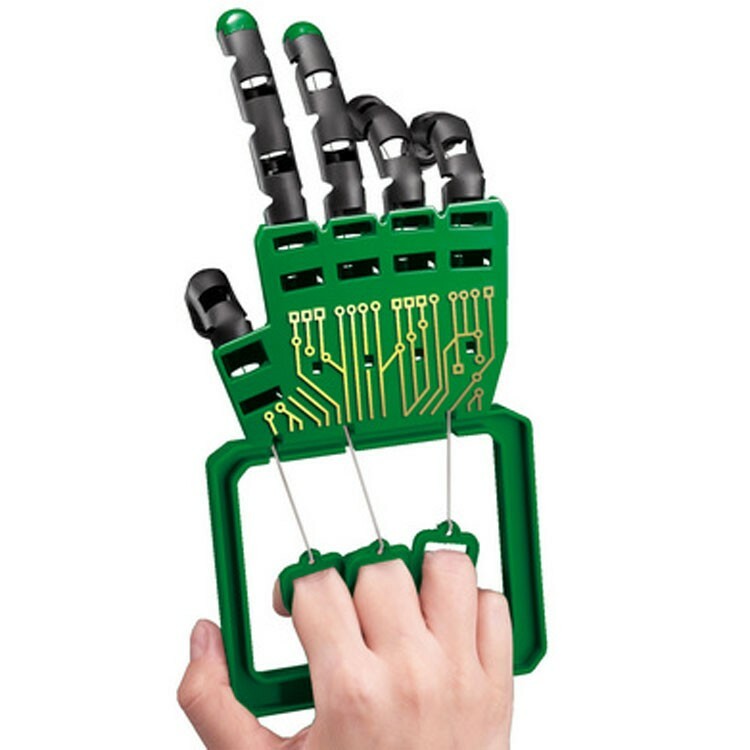 The assembled robotic hand measures about 9 inches long. 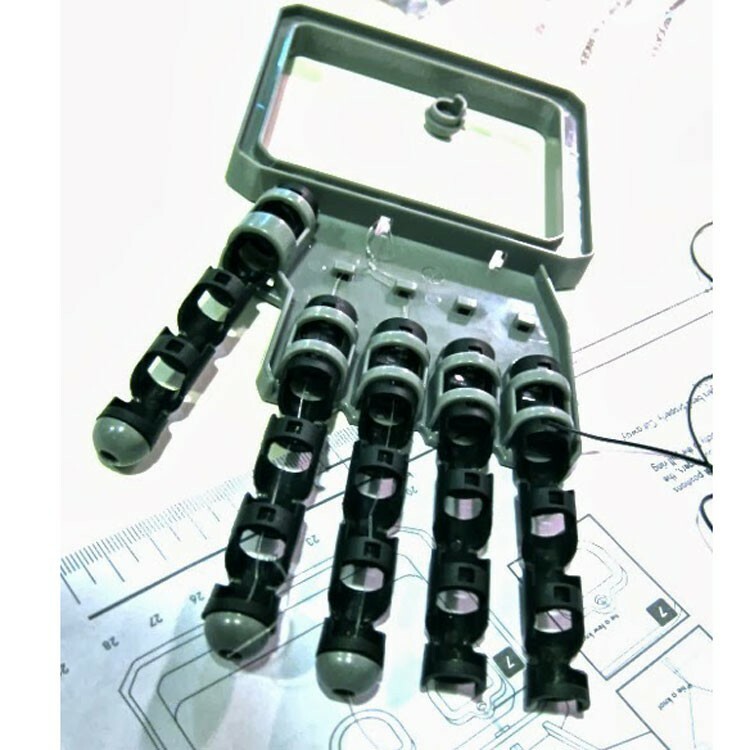 Write your own review of Robotic Hand Building Kit.